FRESNO – An honorary doctorate will be award posthumously to Dr. Peter G. Mehas, a Fresno State alumnus, lifelong educator and former member of the California State University board of trustees, at Fresno State’s 103rd Commencement on May 17. California State University, Fresno President Joseph I. Castro will confer the honorary Doctor of Humane Letters upon the authority of the CSU board of trustees, recognizing Dr. Mehas’ achievements, leadership and contributions locally, regionally and nationally. Castro will be joined in the presentation by CSU Trustees Hugo Morales and Steven Stepanek. Mrs. Demi Mehas will accept the honor on behalf of her late husband, a proud Bulldog alumnus, who died Sept. 27, in Fresno. The son of Greek immigrants, Dr. Mehas learned early on about the value of hard work and perseverance from his parents, who emphasized that “all dreams could be achieved through education.” He was the first in his family to graduate from college and he became a mentor and friend to many first- generation students throughout a career devoted to education. He valued the lessons learned from his parents as a youth: honest day’s work, respect for others and, above all, integrity. He is remembered for his unwavering commitment to the students of Fresno County, his tireless advocacy for migrant children, expelled and incarcerated youth and special needs students. He graduated from Roosevelt High School in Fresno, attended Fresno City College and transferred to Fresno State. He was active in campus activities including student government and football, and was a member of the 1961 Mercy Bowl team. He earned a lifetime California Standard Secondary Teaching Credential, a General Elementary Credential as well as a lifetime School Service Credential in General Administration. He earned a master’s degree from UCLA and his doctorate in education from the University of Southern California. Dr. Mehas often credited his teachers and coaches for inspiring his career, which began in Fresno and Clovis Unified School Districts. In 1987, Gov. Deukmejian appointed Dr. Mehas as Chief Education Advisor. In 1990, he was elected Fresno County superintendent of schools, was re-elected three times and served through 2006. In 1991, President George H.W. Bush appointed him to the Commission on Education Excellence for Hispanic Americans. 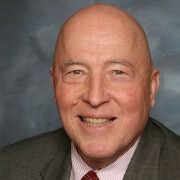 From 1992-93 he served on the State Board of Education. He was appointed to the California State University board of trustees in 2008.